Our guest on the blog today is Mrs. Pam Frost, a lecturer, researcher and apologet. She has been doing Christian apologetics for 13 years! And she will be giving us some really neat clues about how WOMEN can do apologetics too! Hello Mrs. Pam Frost! Thank you for joining us today. We’re eager to learn more about apologetics and your story. Can you tell us briefly about yourself? What inspired you to get involved in apologetics? Hello Rebekah. Thank you so much for inviting me to share on your blog. I have been researching, lecturing and writing for the ministry of truthXchange, the ministry of Dr. Peter Jones, since 2005. I also serve as a member of the board of directors. The ministry is based on Romans 1:25, “For they exchanged the truth of God for the lie and worshipped and served the creature rather than the Creator who is blessed forever. Amen.” Dr. Jones refers to the Biblical distinction between the Creator and creation as “Twoism,” and the world’s religious philosophy that all is one and all is divine as “Oneism.” I research popular spiritual techniques that are not only pervading our culture but also gaining popularity in Christian circles, evaluating them in light of the Scriptural distinction between worshipping the Creator or worshipping creation. How do you define apologetics? The Greek word apologia means to make a defense and in the biblical sense, our apologia (defense) is predicated upon the living hope we have in the person and work of the Lord Jesus Christ. Peter, therefore, exhorts readers to be ready to confidently defend our Christian hope to unbelievers and to refute the opposing religious philosophies that hold them in darkness. What outlets do you use to spread the apologetics knowledge that you have? I write articles for the truthXchange website, speak at many of their conferences, and do an occasional podcast with Joshua Gielow, Director of Communications for truthXchange. I am also in the process of writing several booklets for the ministry. Do you think it is important for Christians to learn apologetics? For example, should young women and mothers also be involved in apologetics? How would it benefit them? I believe it is imperative for all Christians to learn apologetics, especially young women and mothers. Perhaps as never before, the body of Christ is experiencing a barrage of false teaching packaged in biblical-sounding language that aims to influence believers away from our foundation in Christ. Young Christian women are often influenced by their peers to participate in popular practices such as yoga, mindfulness meditation, prayer labyrinths and other forms of contemplative spirituality in order to reduce stress and draw closer to God. However, these techniques are counterfeits distracting us from Jesus, who alone gives us confident access to the Father and invites us to cast all of our anxious thoughts onto Him (1 Peter 5:7). Apologetics is particularly important for young mothers to be equipped to train their children to not only know the truth of Scripture, but to also recognize the false teaching that dressed up as an angel of light (2 Cor. 11:14) and to make a well-reasoned and confident defense of the Bible and their Christian faith. Have you had any negative reactions to your work in apologetics? If so, how do you usually respond to that? Yes, I have experienced varying degrees of negative reactions to my work in apologetics ranging from the simple dismissal of my work as ridiculous to some who have posted angry comments against my articles. During one lecture I gave several years ago, a man in the front row became so irate over what I was saying that he could barely contain himself and gave me a verbal blasting as soon as I was done. While all of this can be intimidating, I always know that I am completely dependent upon the Lord and could do nothing apart from Him. He has also given me incredible peace even in the face of disagreement. I think it’s important to realize that it’s the Lord we are serving and that the results are up to Him and He is our shield. We must also remember Peter’s exhortation in 1 Peter 3:15 to do our apologetics with “gentleness and reverence” even as we make a strong case for our position. It’s also important to pray for those who oppose us that the Lord may grant them understanding and repentance (2 Timothy 2:24-26). I’m sure there is often discouragement and moments of defeat dealing with problems that attack the church. In what ways do you keep up your spirits? I’m so glad you asked this question because it is easy to get discouraged when we see deception attacking the church – and even more discouraging when we see fellow believers buying into it. But I think it’s important to remember that this is nothing new. It has been the strategy of the deceiver from the beginning. Paul, Peter, John and Jude all wrote letters to the churches exhorting them to be aware of certain false teaching that was seeking entrance. So, while we must remain watchful and alert as apologists for the Gospel, we must always take hope in the person of Jesus Christ and stand in the light of His wonderful promises. I think particularly of Psalm 34:5, which says, “They looked to Him and were radiant, and their faces will never be ashamed.” Peter, James and John saw this radiance when Jesus took them up onto the mountain “And He was transfigured before them; and His face shone like the sun, and His garments became white as light (Matthew 17:2).” We further see His radiance in Hebrews 1:3, “And He is the radiance of His glory and the exact representation of His nature, and upholds all things by the word of His power. When He had made purification of sins, He sat down at the right hand of the Majesty on high…” And again, in Revelation 1:12-18 we see His radiance and are in awe of our glorified and reigning King. Fixing our eyes on His radiant glory helps me overcome discouragement and press on in hope, knowing the victory is His and He has promised to never fail nor forsake me (Deuteronomy 31:6; Hebrews 13:5). I especially like reading books on history, church history and biographies of missionaries and Christian leaders. I also find that listening to audio books while doing housework is very helpful so I subscribe to audible.com. I recently enjoyed listening to Irena’s Children by Tilar J. Mazzeo, a book about the courageous woman who saved thousands of Jewish children from the Warsaw Ghetto during the Nazi occupation. What advice concerning Christian life & issues would you give to women, young ladies, and teenage girls? I would encourage Christian women of all ages to gain an understanding of the way cultural Marxism has been at work in the West since the early 20th century (and even earlier) to undermine and finally eradicate Christianity by destroying the family through unbridled sexual license and by destroying capitalism (our economic freedom) through the social justice movements that demand the redistribution of wealth. This will put our current cultural struggles into context and draw clear lines of distinction between the Christian faith and the pagan agenda of neo-Marxism. This understanding will also bring to light the all-surpassing sufficiency of the Bible and of the finished work of our Lord Jesus Christ. This lecture by Dr. Joe Boot clarifies the difference between the Bible’s teaching on God’s justice and the neo-Marxist, humanistic concept of social justice. Where can students and young ladies find some good apologetics resources? Do you have any favorites to recommend? To gain a really good foundational understanding of the worldviews that are colliding in our culture, I highly recommend two books by Dr. Peter Jones, available at truthXchange.com or on Amazon. This lecture by Dr. Peter Jones gives great insight into the difference between the truth of the Gospel with the deceptive lie of paganism. Last question. Would you share with us five favorite things? Your favorite Scripture verse, beverage, snack, book and place to travel to! My favorite snack is currently celery because I’m following the Keto diet plan! My usual favorite snack would be some kind of chips! Love the salty crunch. At least celery has the crunch! One of my favorite books is The Unfolding Mystery: Discovering Christ in the Old Testament by Edmund Clowney. Thank you for inviting me to share! 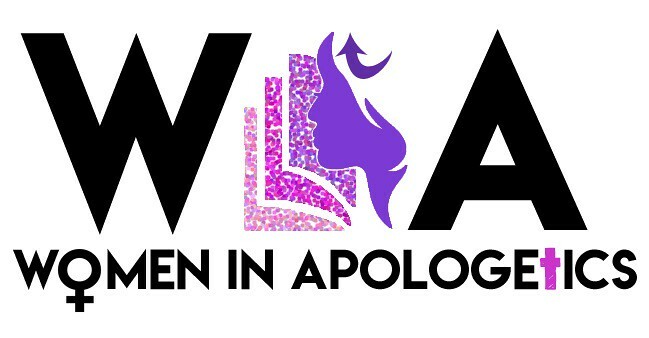 Previous Post Beginner’s Guide to Apologetics- Women do it too! Lots of Great Resources!